With orange oil to cleanse and purify, and olive oil and aloe vera to soothe, moisturize and condition, this formula is perfect for refreshing, hydrating cleansing. It's designed to clean and replenish without the tight after-feel that harsh soaps and detergents can leave behind. Wet your face and apply the cleanser with your fingertips or a washcloth, massaging gently to loosen and remove dirt and makeup. Rinse thoroughly with warm water and follow with a cool rinse. 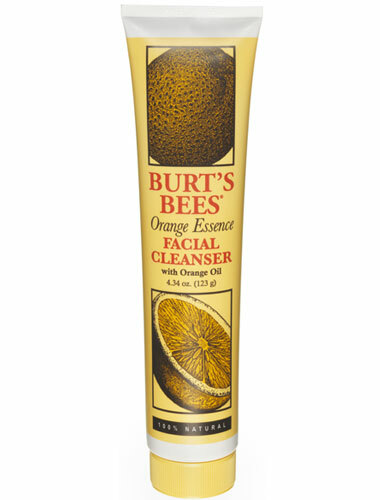 Complete your daily regimen with a toner and your favorite Burt's Bees cream or lotion. Orange Oil Obtained by expressing the cold, fresh peel of the orange tree, a smallish tree native to China and India, now cultivated in Brazil, Cypress, Israel, Mexico and the United States.